A couple of weeks ago I noticed I hit the 500 subscriber mark on YouTube. 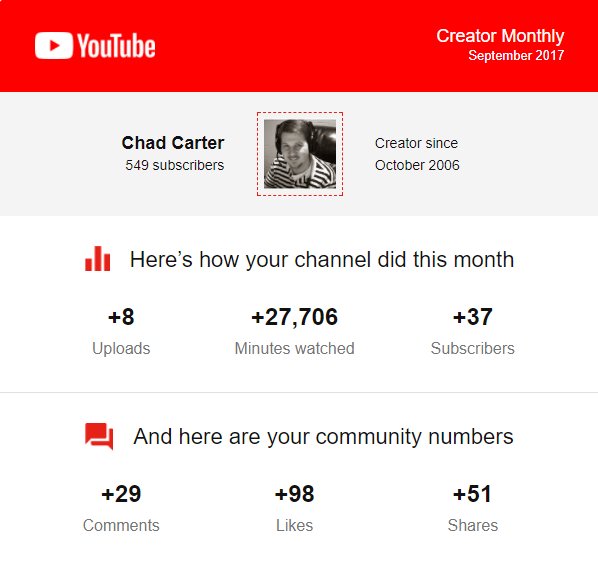 Then a couple of days ago I got an email from YouTube telling me about my month in review. I don’t recall getting an email like this before. It may be because they updated their look and this is part of that overhaul or maybe it is because of some other reason. I typically only upload 1 video a week, but with the immersive Windows Mixed Reality developer edition headsets that came out, I did a few more videos than normal. The email told me that I had been a creator since October 2006. I believe I joined YouTube in August of 2006 but I didn’t upload my first video until October. I’m thankful for each subscriber and as a result I’m going to create another tutorial series on YouTube (and here on the blog). I’m looking to teach the topics that get the most traction. If you like stealth games, chances are you will like Shadow Tactics. Last week I received the Acer Mixed Reality headset. This week the HP Mixed Reality headset I ordered showed up. I hooked up the the HP device and streamed my Xbox One to the Xbox App running through the Mixed Reality Portal. The cliff side house has a theater room where they positioned the app by default. I actually streamed the gameplay over on Mixer. I’ll probably be doing more live streaming over there. So if you are interested, go ahead and click the follow to be notified when I go live. The game Shadow Tactics is actually pretty fun. It’s been out on the PC for a while, but just released to the Xbox One. If you like stealth based games, you’d most likely like this. Plus… the game was made with Unity! Last week my machine decided to freeze up. I had installed the latest NVIDIA graphics drivers and Windows also decided to install updates. When I came down to work on my video I was greeted with black screens. After rebooting, I kept getting the blue screen of death. I won’t go into all the details here as I don’t want to bore my email readers as I talked about it last week, but I will say that after spending time working through the issue I decided it was time to update my graphics adapter. I had my eye on the GTX 1080 Ti and went ahead and bought it after my blue screen escapades. I’m not too upset because now I’m ready for the upcoming collaborative headsets from Acer, ASUS, HP, Dell and Lenovo. To be clear, none of these devices will require this powerful of a device. In fact, the devices will need less horsepower than those running HTC Vive or the Rift. An i5 with an Intel HD graphics 620 (GT2) equivalent or greater DirectX 12 API capable GPU is the critical pieces that need to be in place. I can’t wait for these devices to ship. My understanding from reading online articles is that developers editions should be shipping soon with a possibility for consumer versions to be released in time for the holiday season. The video this week is an unboxing video of the GeForce GTX 1080 Ti from NVIDIA. I hope you enjoy it.